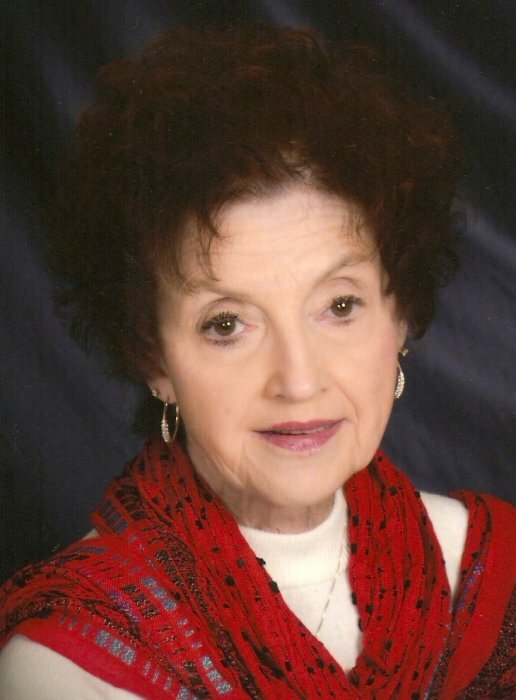 Obituary for Brenda Faye (Mouser) Elfrink | McCombs Funeral Home Inc.
Brenda Faye Elfrink, age 71, of Jackson passed away Thursday, Oct. 18, 2018 at Saint Francis Medical Center in Cape Girardeau. She was born July 22, 1947, in Cape Girardeau, daughter of Cletis B. and Celeste Lincoln Mouser. She and Glenn Elfrink were married March 23, 1968 at Immaculate Conception Catholic Church in Jackson. Brenda was a 1965 graduate of Jackson High School. After earning a cosmetology license, she worked as a stylist in Jackson and then for The CashBook Journal in Jackson. When J.C. Penney Company moved to West Park Mall in 1981, Brenda was one of their first employees. She worked primarily in the women and men’s departments, retiring in 2005. She was a devoted member of Immaculate Conception Catholic Church in Jackson; served as a Communion minister; was a lector; attended various parish Bible classes and worshiped weekly at Perpetual Adoration of The Blessed Sacrament at the chapel in Saint Francis Medical Center. She loved spending time with her grandchildren. Brenda enjoyed making silk holiday decorations and faithfully walking her chubby dachshund, Henry, in the evenings. In addition to her husband of 50 years, Glenn Elfrink of Jackson, loving survivors include two children, Mark Elfrink and Tara (Scott) Fischer of Jackson; two grandchildren, Chase Aaron Fischer and Tyler James Fischer; a brother, Bradley (Miriam) Mouser of Gordonville; brothers-in-law, Loren (Catherine) Elfrink of Oran, Missouri, Steve (Olga) Elfrink of Savannah, Georgia, and Lindell (Roberta) Elfrink of Alamosa, Colorado. The visitation will be from 1 until 4 p.m. on Sunday, October 21, 2018 at McCombs Funeral Home and Cremation Center in Jackson with parish prayers at 4 p.m., followed by the rosary. The funeral Mass will be at 10 a.m. on Monday at Immaculate Conception Catholic Church in Jackson, with the Rev. John Harth officiating. Interment will follow in Russell Heights Cemetery in Jackson. The family suggests that contributions be made to Immaculate Conception Catholic Church Building Fund.